These trees have been one of the most popular Christmas trees over the last decade. Fraser branches are dark green on top, and lighter green on the bottom. Needles are usually ½ inch – 1 inch long. They have wonderful needle retention and a nice fragrance. Branches are stronger than other species of firs, which is helpful when hanging heavier ornaments. Fraser fir branches are pointed slightly upward. Balsams are the traditional soft-needle fir most people think about when envisioning a Christmas tree. These trees have short, flat needles. Balsam needles are extremely long lasting and have the longest lasting aroma. Balsam and Fraser firs are the two most popular trees at the Page Farm. We like to call them ‘Dougs’ at the farm. These trees are beautiful bushy trees with a longer needle than the Balsam and Fraser firs. It is a great tree for families with a large area to fill with a Christmas tree. They have great needle retention, but their branches are not as strong as other species. ‘Blues’ are beautiful trees with very strong branches. The tree’s needles are 1- 1 ½ inches long, prickly, and very strong. As the name of the species implies, these trees have blue-gray needles. Most people are familiar with Blue spruces as landscaping trees, but they make a great Christmas tree as well. We have families who come year after year to get their Blue Spruce. Also known as ‘White Firs’. This type of fir was recently planted in our field, and most are small. These trees have longer needles than other firs, being about ½- 1½ inches long. Needles are typically thicker as well. They are known for their amazing aroma. When crushed in your hands, a citrus scent is produced. A newer addition to our farm, Canaan’s have slightly longer needles than Fraser firs but are similar in color to a Balsam. They have become an increasingly popular species over the past few years. Needles are soft and branches are strong enough to hold heavier ornaments. They have great needle retention. This spruce species has short, strong needles with very strong branches. 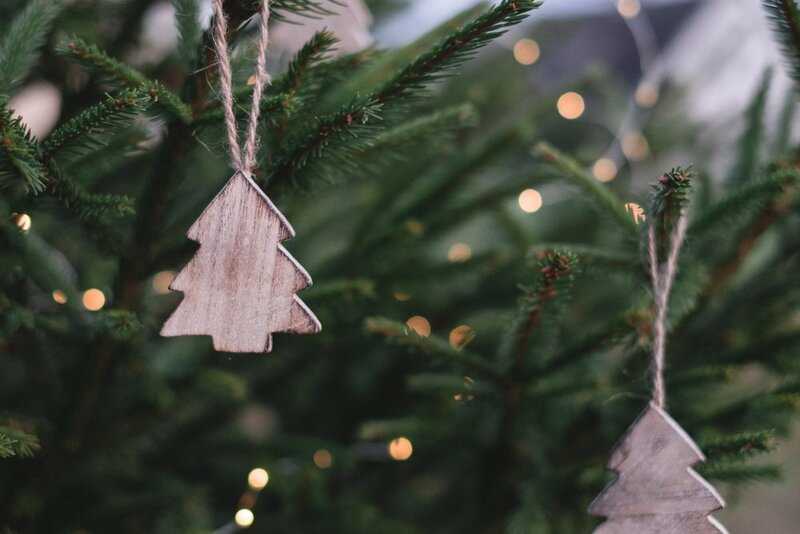 White spruces were once the most popular Christmas tree before Fraser and Balsam firs. These trees can be very full and great for an open space. Since these trees have a lot of needles and mass, they take a lot of water. This is especially true during their first week after being cut. Always make sure you don’t allow the water to become empty with these trees. White spruces may contain many pinecones for nice, natural decoration.